Patriots fatigue is real for a lot of football fans, but some of these guys are just getting their first shot at greatness. It’s to easy to understand why so many football fans are tired of the New England Patriots. They’ve won five Super Bowls since 2000, played in eight Super Bowls, and have been in the last eight AFC Championship games. Their overwhelming excellence has drawn the ire of fans that root for, well, less successful teams, but that doesn’t mean we should hate every individual player on the Patriots. In fact, there are some New England players worth rooting for in Super Bowl 53. Not everyone on the team has had the longevity of a Tom Brady, and this is a chance to celebrate a few of those Pats players before they indubitably go on to win 15 straight AFC titles and 10 Super Bowls in that span. Here are a few Patriots players that are easy to root for during Super Bowl 53. Eight seasons with the Tennessee Titans. One season with the 0-16 Cleveland Browns. Now in his first season with the New England Patriots, Jason McCourty is heading to the Super Bowl. Even better, McCourty gets to start on the same defense as his twin brother Devin, who is a three-time All-Pro safety. After the Patriots beat the Kansas City Chiefs in the AFC Championship game, Jason McCourty noted that this will be the first Super Bowl he attends where he’s not a guest of Devin. He started with the mediocre Titans, went to the completely inept Cleveland Browns, and now he’s an AFC Champion. That’s a feel-good story. Trent Brown started his career as a seventh-round draft pick of the San Francisco 49ers. For the three years that Brown was there, the 49ers had a record of 13-35. After starting 26 games over his final two years in San Francisco, the 49ers traded him to New England during the 2018 NFL Draft. Brown switched from right tackle to left tackle after arriving in New England and had a career year. Brown was called for 18 penalties in his last two years in San Francisco, but was only called for five during this season — he was legitimately one of the most improved offensive linemen in the sport. Patriots offensive line coach Dante Scarnecchia told Brown how proud he was of him after the AFC Championship game. And center David Andrews praised Trent Brown after the game. Brown has gone from Georgia Military College (a junior college program), to Florida, was one of the last picks in the 2015 NFL Draft, and now he’s protecting the blindside of Tom Brady. He even had a clutch block to prevent a strip sack during the AFC Championship game. Talented rookies are always fun to watch. The Patriots had one of the better rookie running backs in the league this year in first-round pick Sony Michel. 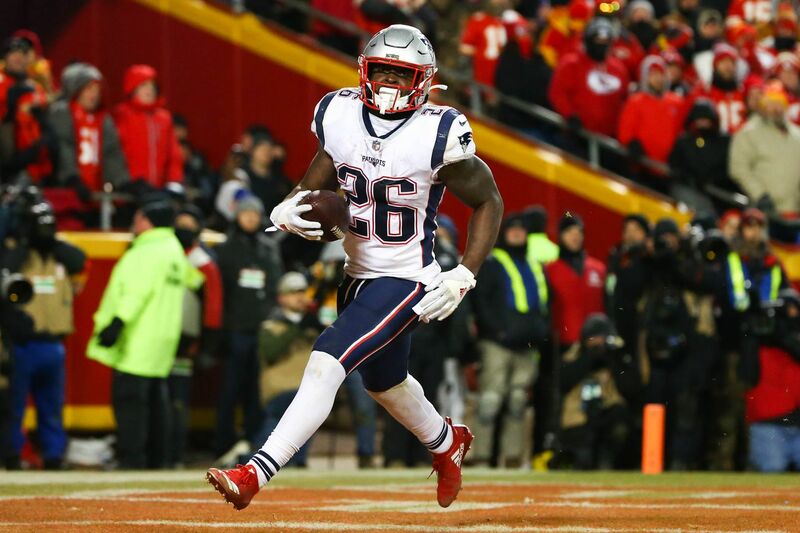 In two playoff games, Michel set the rookie record for playoff rushing touchdowns with five. He had 138 yards and three touchdowns against the Chargers and backed up that performance with 119 yards and two touchdowns against the Chiefs. Now, Michel gets to go against a Rams defense that gave up 5.1 yards per carry during the regular season. Watching young players step into the light on the biggest stage the sport has to offer is exciting — Michel will have a chance to do just that during Super Bowl 53. New England being their one-millionth Super Bowl over the past twenty years might be a bit boring to some fans, but it’s not all bad. There are interesting stories throughout the Patriots roster and players worth rooting for. It’s not all gloom and doom if Tom Brady hoists his sixth Lombardi trophy at the end of the game — some of these guys are just getting their first shot at greatness.